Black Body Armour Vest. FOR MOTORCYCLES,MOTOCROSS SNOWBOARDS, HORSE RIDING SKIING AND ANYTHING ELSE WHERE YOUR BODY IS AT RISK. Collar Bone. Padded Collar. chest and back. Padded areas on chest and back. Black Body Armour. 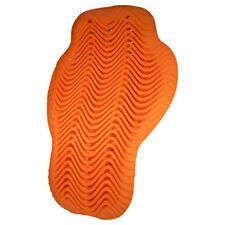 This is one of the best armour you can buy to protect your body. 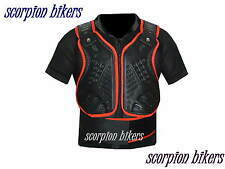 FOR MOTORCYCLES,MOTOCROSS SNOWBOARDS. Arms, shoulders, chest and back. Padded areas on shoulders, arms and chest and back. 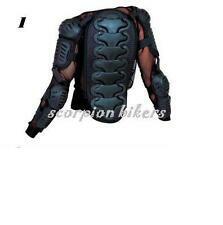 Black Body Armour Vest. This is one of the best armour you can buy to protect your body. FOR MOTORCYCLES,MOTOCROSS SNOWBOARDS, HORSE RIDING SKIING AND ANYTHING ELSE WHERE YOUR BODY IS AT RISK. chest and back. Knee and Shin Guards. Knees and shin area. 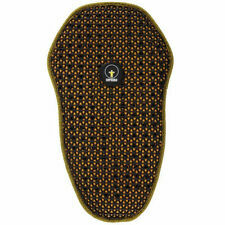 FOR MOTORCYCLES,MOTOCROSS SNOWBOARDS, HORSE RIDING, skating AND ANYTHING ELSE WHERE YOUR knee is at risk. Padded for extra comfort. MANUFACTURER PART NUMBER9107-03 PR SC 1/07. Misc Body Parts Mirrors. Eyewear Clothing & Accessories. Engine Related Parts. Electrical and Lighting. Classic Picks. PRODUCT TYPEProtective/Safety. Item Specs. Black Body Armour. This is one of the best armour you can buy to protect your body. FOR MOTORCYCLES,MOTOCROSS SNOWBOARDS, HORSE RIDING SKIING AND ANYTHING ELSE WHERE YOUR BODY IS AT RISK. Collar Bone. 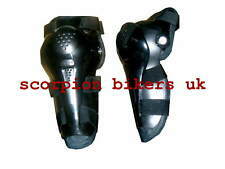 MANUFACTURER PART NUMBER9114-03 SC 1/14. Misc Body Parts Mirrors. Eyewear Clothing & Accessories. Engine Related Parts. Electrical and Lighting. Classic Picks. PRODUCT TYPEProtective/Safety. Item Specs. FOR MOTORCYCLES,MOTOCROSS SNOWBOARDS, HORSE RIDING SKIING AND ANYTHING ELSE WHERE YOUR BODY IS AT RISK. 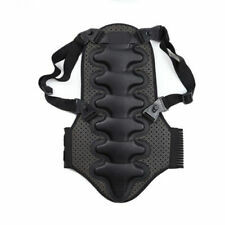 Black Back Protector. Adjustable Velcro fastening around the waist. Note :- this size chart is for a guide purpose only. MANUFACTURER PART NUMBER9101-03 PR SC 1/01S. Misc Body Parts Mirrors. Eyewear Clothing & Accessories. Engine Related Parts. Electrical and Lighting. Classic Picks. PRODUCT TYPEProtective/Safety. Item Specs. MANUFACTURER PART NUMBER9115-03 SC 1/15. Misc Body Parts Mirrors. Eyewear Clothing & Accessories. Engine Related Parts. Electrical and Lighting. Classic Picks. PRODUCT TYPEProtective/Safety. Item Specs. MANUFACTURER PART NUMBER9105-03V PR SC1/05. 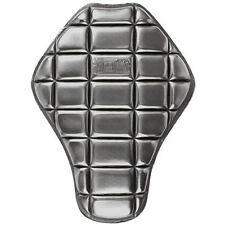 BMX Parts and Accessories. Electrical and Lighting. Climate stability: SAS-Tec Visoelastic foam does not break down under high temperatures and can withstand up to 212 degrees Fahrenheit. MANUFACTURER PART NUMBER9103-03 PR 1/03 L&R. Misc Body Parts Mirrors. Eyewear Clothing & Accessories. Engine Related Parts. Electrical and Lighting. Classic Picks. PRODUCT TYPEProtective/Safety. Item Specs. MANUFACTURER PART NUMBER9105-03 SOLD AS PR. Misc Body Parts Mirrors. Eyewear Clothing & Accessories. Engine Related Parts. Electrical and Lighting. Classic Picks. PRODUCT TYPEProtective/Safety. Item Specs. MANUFACTURER PART NUMBER9102-03 PR SC 1/02. Misc Body Parts Mirrors. Eyewear Clothing & Accessories. Engine Related Parts. Electrical and Lighting. Classic Picks. PRODUCT TYPEProtective/Safety. Item Specs. 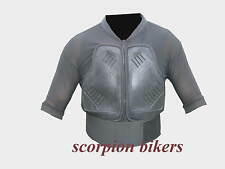 CE Approved New Design Body Armour Kid's Protection Jacket. CE Approved armours. Key Features. Black Body Armour. FOR MOTORCYCLES,MOTOCROSS SNOWBOARDS, HORSE RIDING SKIING AND ANYTHING ELSE WHERE YOUR BODY IS AT RISK. Padded Collar. Arms, shoulders, chest and back. Padded areas on shoulders, arms and chest and back.